Skin Care: Cucumber, Lavender, Frankincense, Carrot Seed, Neroli, Roman Chamomile, and Rose. Dissolve oils in the Sea Salt and add to a warm/hot bath. Soak for 20-30 minutes. (Make sure your skin can handle the blend before immersing yourself in it. Click here for the GC/MS test results for your bottle of Skin Care Essential Oil Blend. I got this hoping it would help calm my irritated skin. I don’t typically have problem skin but lately for some reason it’s been very dry and red, even itchy. I started using this just at night mixed with coconut oil and within 1 day, my skin was less red, soft and not itchy. I’ve been using it for a little over a week now and got compliments on how refreshed and glowing my skin is! This was my first order with RMO and I am beyond impressed. I love this oil and will be a customer forever! I really love this oil. I use a couple drops with a little bit of jojoba oil every night as my moisturizer. As other reviews said it is a little thick, but I just roll it in my hands for a bit before I use it. I actually like the fact that it’s thick because that means it’s the real deal. Some oils are thicker - just how it goes. I would recommend this oil for anyone to add to their beauty routine. I bought Skin Care to add to Grapeseed oil for a facial serum. I have only used it once on skin so far, so I cannot really say how well it "works" yet. However, I already love this oil diffused. Smelling from the bottle, I wasn't sure at first (it is a bit strong), but I diffused 2 drops at bedtime last night and the smell is AMAZING! and I slept much better than usual. I am going to get some spray bottles and make a linen spray next. 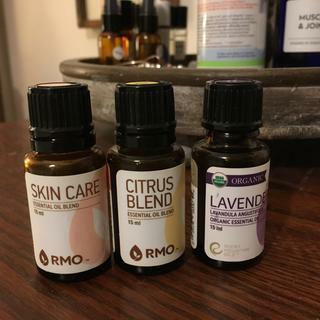 I love all of the RMO oils that I have received, some more than others, but I've never felt the need to write a review unprompted before Skin Care! At 52 years old, I've have a few decades of skin care under my belt. I've always avoided the chemically ones (sorry Chanel and Clinique), as I look at the ingredients and it is pretty clear that they can't be good for you...so I've found quality product sources or made my own. About 2 years ago, I came across the Skin Care blend by RMO. I ordered it along with carrot, helichrysum, cucumber and fractionated coconut carrier oil (also from RMO), then put the bottle of Skin Care blend and Helichrysum, along with about 4mls each of carrot and cucumber in a 100 ml bottle, then filled the rest with the coconut oil. I gentle shook it then let it set for a couple of days. I've been using this blend on my face every day since and I have no plans on changing my skin care regime ever again. It is like a magic elixir. 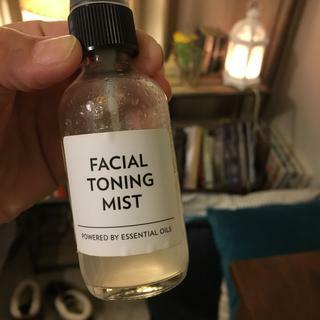 Even on stressful days...even when stressful days turn into stressful weeks, with little sleep, jetlag, or one too many glasses of champagne at a wedding, this blend keeps my skin fresh, and hydrated. The initial investment wasn't cheap, but you only need a few drops a day, so it lasts a long time. I've now introduced many friends to this blend, and they all feel the same way I do. Its not often that a blend is this 'right' but this one is. Multipurpose oil: 1. I bought this to add to unsented face lotions (California baby makes a few) and use them for my skin. 2. But since buying it, I also used it to make a facial toner. 1 oz witch hazel, 1 oz apple cider vinegar, water, and 15-20 drops off oil. Spritz all over face (body, etc) and when bottle gets halfway done, fill up again with water to keep it going strong. Oils continue to permeate it. 3. BUT recently I began using it to diffuse. Boy, it has been the best! We’ve been sleeping like babies (and we have 3 small kiddos who still wake up in the night so we need all the sleep we can get!). The scent isn’t my favorite but I use it with lavender and lemon, or a citrus blend. I saw that this oil has rose, frankincense, neroli - all good sleep oils - so I thought I would try it. The oil is thicker but with patience, after the first drop the second comes faster, imo. I use Skin Care, Baby Skin and Skin Tone blended together. I'm completely amazed at how my skin looks and feels after using these blends. I have never gotten results like this using face creams, serums and treatments. The products I've used over the years include some of the best. And I thought I had found the best until I tried RMO skin blends. I use nothing else, no eye cream, etc. My skin has developed a very clear, bright glow that I've never had before. The lines around my eyes have virtually disappeared. Being 58 years old that says a whole lot! I really like this oil blend. Noticed a softening of my skin pretty immediately. I've mostly used my first bottle "straight" and just use a few drops on my face. But lately I've created my own serum with it and added to a dropper with other oils (rosehip, frank, lav, carrot seed, etc) and its SO great like this. Because, as previously mentioned its a THICK oil blend so it can get annoying waiting for 3 drops to come out. I will definitely order again. I started using this on my face a couple weeks ago and immediately saw a difference. Wish I would have started sooner! I'm over 40 and have had acne all my life. Now my skin is DRY and breaks out, ugh. I got this a week ago and the difference is incredible. I made a serum of fractionated coconut oil and 4 drops of Skin Care, combined it in a half ounce bottle. I rub a few drops into my cleaned skin at night before bed. The smell is fresh, perhaps a bit medicinal but is dissipates quickly once absorbed in the skin. It is thick, yes, but if you roll the bottle a bit in your warm hands and shake vigorously it does come out, fine. You need so little at a time anyway. It reduced the redness of existing spots immediately, faded and healed them faster, and I'm noticing no major new blemishes coming up. I couldn't be more pleased. After literally thousands of dollars on trying to help my face, this simple product put them all to shame. Please don't change a thing! Love the Skin Care blend! I've only been using it a couple of weeks but I'm already seeing a difference in the tone and clarity of my skin. This oil is very thick and not very strong smelling. I was skeptical at first. Mixed some with raw shea butter and it has cleared up my son's eczema in two weeks. I have also been using it on my face at night, mixed in with my night cream. And am also very happy with the how it is making my skin smoother and clearer. Definitely recommend for anyone with skin issues or just looking to improve overall skin health. Great for bath & mixed with sweet almond oil for an after-shower moisturizer. My Skin Feels So Smooth and Soft! Love this blend so much! I use a few drops with a drop of lotion in the morning for simple skin routine. I love this blend! I use it with jojoba oil daily, it has faded some of my acne scars and leaves my skin feeling soft. Every oil in this blend is great for your skin. The oil is thicker than others but will come out easily if you roll the bottle in your hand a few times. LOVE! I dilute it in Jojoba oil for every day use. And use it straight for night care! Smell grew on me and now really like it! I love this product! My skin looks younger and feels wonderful! I received it as a gift from my sister, and have ordered more for myself and to share. It makes my skin feel so soft. Because it is a blend, I apply all over my face. Another great oil! Made a skin mousse out of aloe, jojoba and RM Skin Care Blend. Been using it on my face for about a month now. I absolutely love this blend!! Also blended it into some sesame oil for after a bath. Great stuff, will buy it regularly from now on. My skin loves it and so do I! I have been using the RMO "Skin Care" oil for several weeks now. I love how soft it leaves my face. Skin Care is a superb blend of oils known to be beneficial to the skin. RMO has done a very good job in getting the harmony right on this blend. I can feel the energy of the oils as they penetrate my skin. The blend also smells lovely. Has several great essential oils for the "slightly older" skin. The best oil in the Skin Care blend is the frankincense. I diluted this oil in spray bottle with distilled water and spritz my face and neck morning and night for the past 2 or 3 months. Lately, people I work with are asking me what I'm doing to my skin. Apparently I look radiant. I'll take that! Just started using this product and my face is softer. I put this on with almond oil as a facial moisturizer at night. I've been using Skin Care several months and really like it. It is light so my skin doesn't feel greasy after using it. I love the way this blend makes my face look and feel. It's very hydrating. Sometimes I apply it straight, other times I mix it in with my face lotion. Really like it - will purchase again. I used Skin Care to mix up a batch of moisturizing body oil. (15 drops RMO Skin Care, 5 drops Sandalwood, 1/4 cup organic jojoba oil, 1 Tablespoon organic Argan Oil and 1 teaspoon evening primrose). Put all ingredients in a glass bottle with an eye dropper top and shake well. I've been using immediately after my morning shower. I use all over - including my face. It does not clog my pores and leaves my skin feeling soft, but not oily. I let it absorb in about 5 minutes before getting dressed. The batch makes enough to use daily for a couple of weeks. Arrived within ETA. I started using them in diffusers and they smell lovely. I've created a few blends as well so we'll see how those work. I have used and enjoy your products, wish you made them available in Canada! The last order was 30% more and has me thinking I need to locate oils marketed in Canada. Feels great on my skin and smells fantastic! I'm on my third bottle. Makes my skin feel so soft. This is my ideal blend of essentials for use either straight, or blended with FCO, for facial moisturizing. It absorbs within minutes, and leaves skin beautifully smooth with a toned feeling. I also add a couple drops to my favorite cream moisturizer on days when my skin is extra dry. I love Skin care ... excellent blend. First time ordering, I am pleased with my purchase. I love the oils but a reference manual is needed or at least a format that can be printed out from the info on your website! Especially for your blends. I mix this with some rosehip oil and apply it to my face at night. I love it. OMG my face feels so soft on the very first time using. Will order more. So far loving these oils. They seem clean and pure to the nose and touch. Work beautifully for skincare, cleaning and difusing. I look forward to trying them all. Great quality! I love this oil. I use it with coconut oil as a moisturizer everyday. It smells nice and no single ingredient overpowers the bottle; a nice medley. Is this the same as Skin Care from a few years ago? My older one says in a base of cucumber seed oil. Wondering if I should dilute the older one more since the directions here are saying to dilute. Difference between skin care and baby skin? BEST ANSWER: Because each person possesses a unique body chemistry, people can react differently to certain oils. For that reason, we provide a variety of blends with similar properties to achieve the same therapeutic objective. We would suggest reading the product descriptions of each oil and seeing which one sounds as though it would more apply to you. You can also see the list of ingredients for each blend on the product page. Baby skin is essential oils blended with 40% fractionated coconut oil. Skin Care is essential oils only. I love both equally! I use Skin Care neat during the day because it contains carrot seed oil (allegedly a natural SPF) snd lavendar oil, both of which have amazing healing/renewing properties for skin. Baby Skin smells really great and is a bit more moisturizing, so I use it at night or just whenever my skin feels dry. Baby Skin also has Geranium which promotes circulation, so it really gives my skin that youthful, rosy complexion. Both blends contain Frankincense, which has too many benefits to list here, but they don’t call it the “King of Oils” for nothing! However, if I had to choose one blend over the other, I would choose Baby Skin. Simply because it’s slightly more moisturizing and smells really good. But both have produced wonderful results for my skin. I've bought these products several times and have seen my skin respond immediately to both but I think I lean slightly more towards the Baby Skin as being more gentle of the two. However, I wasn't initially careful enough in my use of Skin Care and didn't blend it with a carrier oil before using. Not a smart thing to do. The Baby Skin is already blended with FCO so it can be a direct application and Skin Care is sold without a carrier. I add this one to a moisturizer and use one of these oils 2x a week to help my skin look healthy and feel soft. I recommend comparing the ingredients of the two products. RMO has included all the oils I would make for a DIY. I recommend both oils. Skin care is not diluted with a carrier as baby skin already is. Both are great, I prefer the skin care cause I can add it to a face oil other than coconut, which is what baby skin is blended with. Both are great products in my opinion, just depends on what carrier you prefer. The difference would be the oils that are mixed in them. Skin care would be for adults or mature skin. Baby skin would be more for adolecents and babies. Skin Care is super, baby skin is also quite pleasing. Hard to say which is better, both are pretty great. I prefer the smell of baby skin, but skin care is more concentrated while baby skin has FCO. Baby skin has coconut oil in it. BEST ANSWER: Many components play a part in the viscosity (thickness) of an oil. Because essential oils come from a variety of plants (flowers, leaves, herbs, grasses, tree barks, etc. ), they differ in viscosity, scent, and color. Thicker oils typically come from the resin or root of the tree or are extracted with the cold press method. Some oils grow thicker and more potent as they age. Because essential oils are extracted from living plants that do not follow an exact chemical formula or an exact growing pattern, each batch of the same oil can vary as well. Some of our oils that are most commonly known for the possibility for being thick are: Vetiver, Copaiba Balsam, Balsam of Peru, Myrrh, Cucumber Seed, Patchouli, Frankincense, Sandalwood, Cedarwood, Blend of Vanilla, Blend of Jasmine and Black Cumin. 1.These droppers also work best when held horizontally (to the side) instead of vertically (upside down). 3.Widen the holes on the orifice reducer with a sterile pin. 4.Take the orifice reducer off of the bottle and use a pipette. I have the same problem. I tilt the bottle to more of a 45 degree angle and let the oil come to the edge of the opening, then give a little shake. It helps only a little. Bring to room temperature. I love this blend and haven't had any issues getting drops out. Perhaps reinforce the hole with a sterile pin...? Hold bottle in hands for a few minutes to warm. can this blended oil be used to make bar soap or lotion? BEST ANSWER: Yes, you are more than welcome to use this blend to create your own soap or lotions. I don't know. I apply it directly to my skin and I like it. Yes, it can be used to enhance a bar soap or lotion. I got this so I could DIY face moisturizer for combination maturing skin but there's no way I follow the recommended DIY on product info - I cannot do Sandalwood EO or anything Sandalwood at all. What are some other options? I have Grapeseed Oil, Jojoba Oil, Sweet Almond Oil, and FCO for my carrier oil options and of course aloe jelly. I also have Melissa Hydrosol and Helichrysum Hydrosol. Would love to see more DIY recipes related to this blend. I find this recipe to work great. Let sit overnight for oils to blend well. It may take a couple of applications for you to find how much you need to roll on. I use it am and pm daily. I put it on uncut. My skin loves it. I feel my skin is brighter and tighter after using it. Vertical lines above lips. What is good to use for them? Skin Care, Baby Skin and Skin Tone are great blends and Helichrysum, Rose and Carrot Seed are some great singles. It won't make them go away, but will make them less noticable. Im 55, use a drop in the AM and PM with CeraVe moisturizer and am often complimted on my skin-!its an inexpensive routine. Skin Care is not going to remove vertical lines on lips brought on by normal aging. It will help with overall skin health. BEST ANSWER: This information can be found on the product page under " Elements". Hi Zlystra! The ingredients are cucumber, lavender, frankincense, carrot seed, neroli, roman chamomile, and rose. I recommend it! What’s the percent of the cucumber seed oil in the blend? BEST ANSWER: Good question! Unfortunately that information is proprietary to RMO. Which variety of Frankencense is found in this blend? Would I be correct in assuming sacra as it’s best used in skincare/anti-scar applications?? The Frankincense that is used for this blend is Frankincense Serrata. Can you be more specific in explaining the difference between Skin Care and Skin Tone? Sound like they are basically the same thing. Thx. BEST ANSWER: Great question! The difference is in the components of the blends as well as what skin type it is being used for. Skin Care is used more for mature skin and Skin Tone would be a better option for dry skin. Is this a good blend for slightly oily skin with breakouts? Other recommendations? BEST ANSWER: Skin Care is designed to promote your skins natural glow. However, our blend Baby Skin may be more beneficial for oily skin types. Can you add this directly to skin? Is there a roll on formula that is "ready to use?" Is grape seed oil a good carrier oil to mix with this and what ratio should I use? I’d like to make a roll on to apply on my face prior to moisturizing. What is the difference between your “skin care” oil and “skin tone” oil? Skin Care works great to help tone mature skin and may help promote a youthful glow while reducing the appearance of minor imperfections. It is used as a moisturizer to help soften and rejuvenate the appearance of skin. Whereas Skin Tone is used as a moisturizer to help soften and rejuvenate the appearance of skin, while helping the nourish dry, dehydrated skin. I am trying to reduce a scar on my forehead. Neroli is not in my budget and I wondered if this would work for that too? BEST ANSWER: Skin Care would be an absolutely great blend to try! The ingredients are perfect to assist in nourishing and toning the skin. Why does it say on amazon that the only ingredient is cucumber? BEST ANSWER: It does look like there may have been a glitch on that, however it has been fixed. We appreciate you letting us know! Can it be used in facial cleanser ? BEST ANSWER: Skin Care Essential Oils Blend can definitely be used in a DIY cleanser! It can be so beneficial for all skin types.